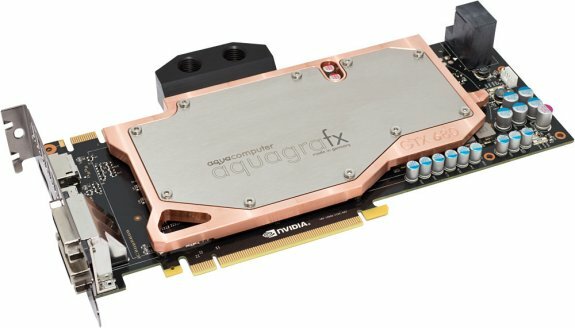 Aqua Computer shows off its new aquagrafx GTX 680, a new waterblock that will be available next week for 94.95EUR. 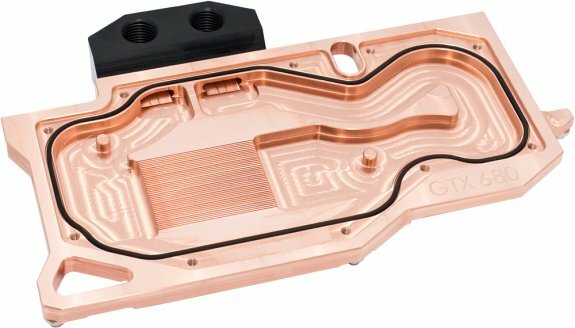 The block is manufactured of pure electrolyte copper, it's CNC milled and promises tolerances less than 0.1mm. All contact areas with the GPU, RAM and VRMs are highly polished, and the area above the GPU features a micro-structure for enhanced heat dissipation. The block has modular in- and outlets, with support for SLI configurations.